I was in my early 20s when I first set foot in what would turn out to be my favorite place to visit outside the Philippines. I was with my parents then and a bit naive about travelling, I booked the services of a travel agency to arrange our trip. It was a typical 4 days/3 nights package tour and most of my memories include being taken to a jewelry shop and a jade shop, wasting precious time waiting inside the bus for the rest of the tour group to come back on every single stop, and being forced to buy those souvenir photos on plates. I'd be ungrateful if I say I didn't enjoy my first trip to Hong Kong but it was during my second visit that I realized how much I missed out on what the place has to offer. That's also the first time I traveled DIY so we (I was with my friend and cousin) were able to plan out the trip well and roamed around the city at our own pace. And so 8 trips to Hong Kong later, I think it's time to share some tips and tricks to enjoy Hong Kong on DIY travel. Hong Kong is one of the easiest places to navigate just like Singapore because of its very efficient transport system so even pre-mobile data days, I'm proud to stay we didn't get lost there. A lot of people I personally know have been to Hong Kong and by the photos they post on social media, I am sure they were on DIY travel because believe me, it is so easy. But for those who are still not convinced, here's a guide for you. Disclaimer: This is based on my personal travel experiences (and I travel on a budget) so I'm not saying it is the best guide and you are not forced to follow every single tip. Only follow what you think suits your travel style best. Coming from Manila, you may choose between PAL, Cebu Pacific and Air Asia. If you're "sosi", go for Cathay Pacific. PAL is actually already "sosi" for me so I only took PAL once going to HK. I fly via Cebu Pacific most of the time. Many years ago, I would get crazy over seat sales. Back then, I would easily secure within minutes a 3000 peso round trip tickets with baggage allowance via Cebu Pacific. And seat sales dictate my travel dates. I would sometimes travel on weekdays, on a red-eye flight or during a typhoon season just because it is the cheapest available ticket. For me, the cheaper the ticket, the better regardless if I need to extend my vacation leave or stay awake for 24 hours for working the whole day and going straight to the airport to catch my evening flight. Yes, tiis ganda. Right now, that I feel more mature (ehem! ), I check first if the travel dates are favorable to me and my companions before I proceed with searching. I've grown impatient now with the very slow loading of pages or errors in the airline booking sites whenever there's a sale (Hello Cebu Pacific!). Imagine how many more people I compete with now for cheap fares than from 7 or 8 years ago. What I do now is just check the airline websites from time to time if there are discounted fares. It saves me from a lot of heartache and lack of sleep (seat sales usually start at midnight). But I don't discourage you from trying to look for tickets during seat sale. It's fun! It is like winning a lotto ticket (except I haven' yet) or passing your thesis defense when you receive the confirmation of your booking after the nerve wracking minutes or even hours of searching for those very elusive seats. So book your tickets and then start planning. Btw, Philippine passport holders can enter HK visa-free and can stay up to 14 days. Because of the very steep price of real estate in Hong Kong, expect to stay in a cramp room may it be a hotel or hostel. You would be surprised that your bathroom at home is 2-3x bigger than their average hostel bathroom. I have experienced taking a shower while sitting on the toilet because there's not much space inside. I also experienced opening just one suitcase at a time in the remaining walking space available. And just to describe how small the smallest room I've ever stayed at, I can touch the wall with my fingers, arms stretched and reach the opposite wall with my toes while lying down in bed. Location wise, Tsim Sha Tsui or TST is your best bet. Tourist attractions such as Avenue of the Stars (but it's undergoing renovation as of this writing), Kowloon Park, and museums such as Space Museum and Museum of Arts are only of short walking distance. A lot of malls are also located in this area. You may have seen a lot of cheap hostels located at Chungking Mansion, but the price speaks for itself. Please just avoid staying there especially if you are travelling with kids. I've both stayed at Golden Crown Guesthouse and Taisan Guesthouse more than once but there are many other guesthouses within the area. I booked with them through their website / email. If you are in a bigger group, you can have a whole apartment unit to yourselves which you can book via AirBnb. At least you get to have a common area/living room and a kitchen with basic equipment. And the bedrooms and en suite bathrooms are more spacious, at least in the apartment we've stayed at. The only problem I encounter with AirBnb is that you need to meet the host outside the building at a designated waiting area and if you do not want to spend on roaming charges / mobile data, find a way to get the non-english speaking security guard to contact your host through his landline to inform them of your arrival. Haha! And with the standard check-in time of 3pm of most hotels/hostels/airbnbs, it is better off staying in a hotel where you can leave your bags at the reception if you're arriving early in the morning. During our trip last January, we stayed at Le Prabelle Hotel in Prince Edward. It's a fairly new hotel with spacious rooms (in my HK accommodation standards) and located in a very convenient location. I preferred to book a hotel this time because we have my nieces in tow and I wanted to give them a good impression of HK Hotels. But when they grow up, I'll let them experience the true HK room size. Haha. You can also stay in other areas like Yau Ma Tei and Mongkok or in Hong Kong island side if you like, but I suggest to stay within the Kowloon side if it's your first time. For me HK island is just a bit hard to navigate and mostly for business travelers. But I would like to stay there in my future trips. Regardless where you're staying, one important tip is to check the hotel's distance to the MTR Exit or Airport Bus Stop. Plus points if its near restaurants or convenience stores (but in Hong Kong most if not all of the residential buildings have shops on the ground floor anyway). It is actually not much of a big deal to me on where I stay since I just needed a room where I can take a shower and sleep after walking around for more than 12 hours. It is best to book your accommodation as early as possible especially when staying in hotels as booking sites like Agoda offer early bird rates. Because Hong Kong is a favorite destination for Pinoys, it is not that difficult to find money changers here in Manila that sell HK dollars. You can try Sanry's and Czarina's. If you're from Mandaluyong, you can try Lina's in Kalentong outside Don Bosco Technical College. Some banks also sell HKDS so you may try asking your bank branch. You can also bring Pesos and have it exchanged there. Philippine Pesos are widely accepted at Hong Kong money changers. The Peso you can take out of the Philippines was now increased to 50,000 from the previous 10,000 limit. In any part of the world, airport rates are much higher compared in downtown so just exchange a few HKDs for your transportation. I used to have my money exchanged at Wing Hoi Money Changer in Mirador Mansion, TST. They have the best PHP-HKD exchange rates but since I always get HKDs here in Manila in my recent trips, I seldom go there now. I'm not the type of person who enjoys buying attraction tickets at full price. Back then, I buy HK Disney tickets from travel agencies based in HK or hostels (like Golden Crown Guesthouse) who offer them at discounted rates. During our recent trip, I got all our tickets via Klook. *$150 price is for entrance after 2:30PM and can be used only the day after your purchase which was okay as we really planned to go there in the afternoon. But you can also purchase an "anytime ticket" for a higher price. They also have promos like 500 pesos off for first time bookings and sometimes they give additional 5% off if you are using CITI or HSBC cards so I was able to get more discounts. Aside from discounts, it is more convenient as you would only need to show your printed tickets at the entrance or (just show them from your mobile phone). No more lining up at the ticket counter bringing cash and just worry about settling your card bill back home. When travelling to a foreign country, always check the weather on your travel dates. Go to Accuweather.com so you can prepare your itinerary well and know what clothes to pack. It doesn't snow in Hong Kong but it experiences below 10 deg C weather during January-February. During the summer months of April and May, it is hot and humid just like Manila. I've been to Hong Kong on a stormy June (2008) and a very hot and humid June (2014). November is also a good month to travel as it is sunny but with low humidity and with temperatures ranging between 18 to 24. Except when there is a typhoon, I enjoy Hong Kong any time of the year. If you aren't familiar with Hong Kong and scared of getting lost, you can rent a pocket wifi at the airport. I rented ours at Kkday and only paid 900+ pesos for 5 day use. It is definitely cheaper than activating your data roaming (at 599 pesos/day) and the device can be shared by 5 users and its battery lasts more than 10 hours a day. Process is simple, you can book and pay online, present the voucher at the Kkday counter at the arrival area and within minutes receive the unit with a few instructions from the staff. Return them on the same counter on the day of your flight. There are many other companies offering this service but I've read good reviews about Kkday. There are many options going from Hong Kong airport to the city. Taxi, Uber, Airport Express, or CityFlyer(A21/A22). I always prefer the latter as it is the cheapest way to go to Kowloon. 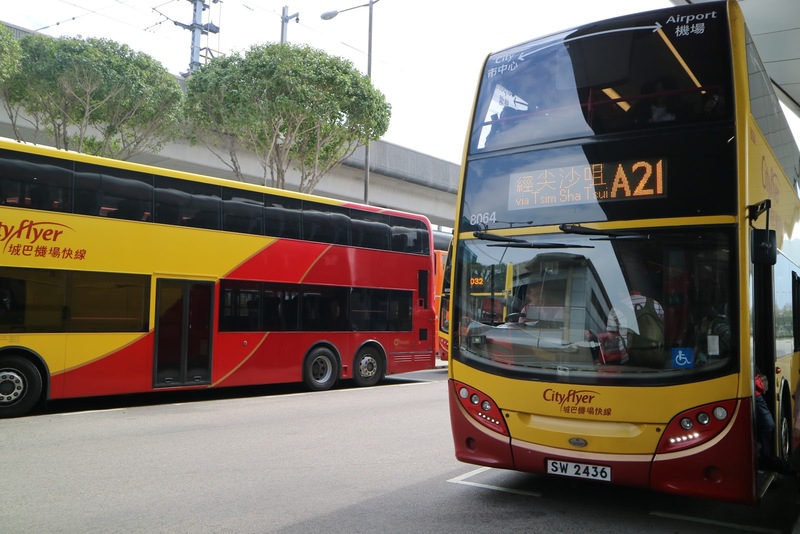 A21 goes to Kowloon while A22 goes to HK Island so make sure to get on the right bus. A21 adult ticket is HK$33 per way and can be paid in cash or Octopus Card upon getting on the bus. A pre-paid roundtrip ticket costs HK$55 which you can purchase at the Cityflyer counter outside the arrival hall near the A21 bus stop. Just shoot the "To Kowloon" ticket at the coin box near the driver and keep the return ticket ("To Airport") and do the same when you get on the bus on your departure day. Know the nearest bus stop to your hotel so you know where to alight. (You can check the stops at the Cityflyer website). There's an LED screen inside the bus which flashes the next stop so if it shows your stop, just press on the stop button near your seat so the driver will know there's someone alighting. If going back to the airport, take note that the A21 bus stop is on the opposite side of the road but in most cases, it is not located directly in front of the A21 bus stop you alighted at. So again, check the Cityflyer website for the nearest bus stop (going to the airport) to your hotel. You can practically go anywhere in Hong Kong (at least within the city) via the MTR. 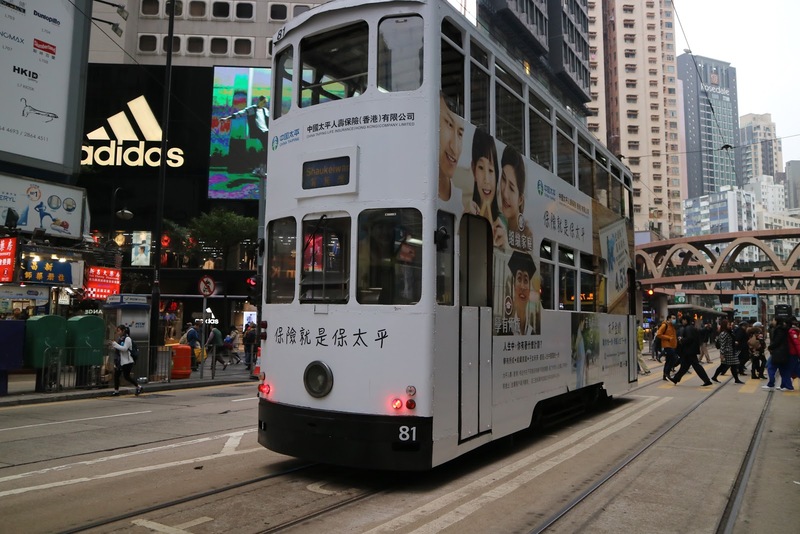 While there are available buses and mini buses, leave that to the locals as most of the tourist attractions are accessible via the MTR. You only need to take note of these most popular stations. Hong Kong Disneyland, Ocean Park, Tung Chung (for Ngong Ping Cable Car, Tian Tan Buddha and Citygate Outlet Mall), Tsim Shai Tsui (Avenue of Stars and a lot of shopping malls), Jordan (Temple St Night Market), Causeway Bay (more luxury shopping) and Mongkok (Ladies Market, Sneaker Street and other bazaars). Taxi is another option if you have elderly or PWD companions. All or most (this I'm not sure) don't accept Octopus card payments so make sure to bring cash with you. Octopus Card is your Bestfriend. 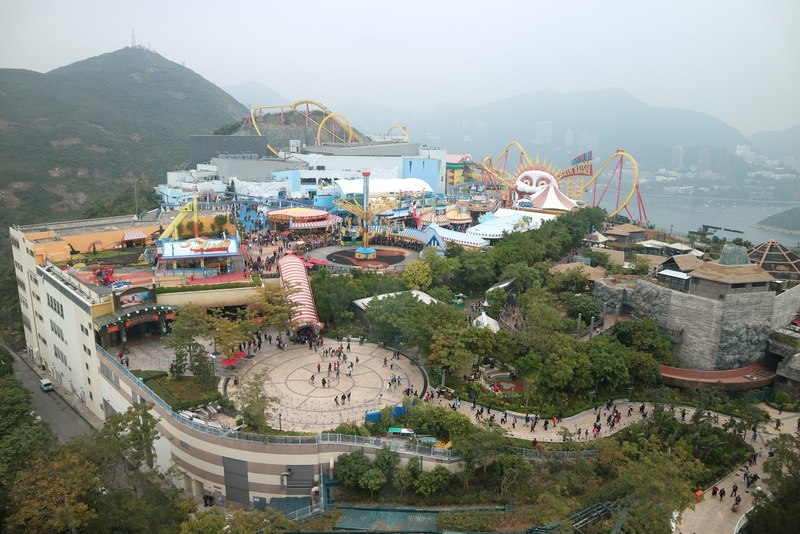 Aside from Disney, Ocean Park and Ngong Ping, popular attractions in Hong Kong include The Peak, Avenue of the Stars (Symphony of Lights) and Nan Lian Gardens/Chilin Nunnery. Going to The Peak involves a bit of walking to the lower peak tram terminus (depending on where you're coming from) then taking the tram up to The Peak. For Nan Lian Garden, just take the MTR to Diamond Hill. A side trip to Wong Tai Sin temple (Wong Tai Sin MTR) is also okay if you're into temples. For Avenue of the Stars, exit at Tsim Sha Tsui and find your way to the waterfront. There are street signs pointing to it. You'll pass by Art Museum and Space Museum (the one that looks like a giant igloo). There's a Symphony of Lights show everyday at 8pm so it is best to secure your spot before it starts. If you only have 4 days or less to spend in Hong Kong, choose among these places and plan your itinerary wisely. Disneyland and Ocean Park both require whole day (if you really want to make most out of your visit). But if not, you can combine Ngong Ping+Disney and Ocean Park+The Peak. Aside from going to theme parks, shopping and dining, there are a lot of things to do in Hong Kong. I've been there a lot of times but I admit, I have yet to visit other places like Stanley Market and the Outlying Islands. Star Ferry used to be the only mode of transportation between Kowloon and Hong Kong Island when the cross harbour tunnel and the MTR line connecting the two islands were not yet built. Nowadays, it is still being widely used by commuters. 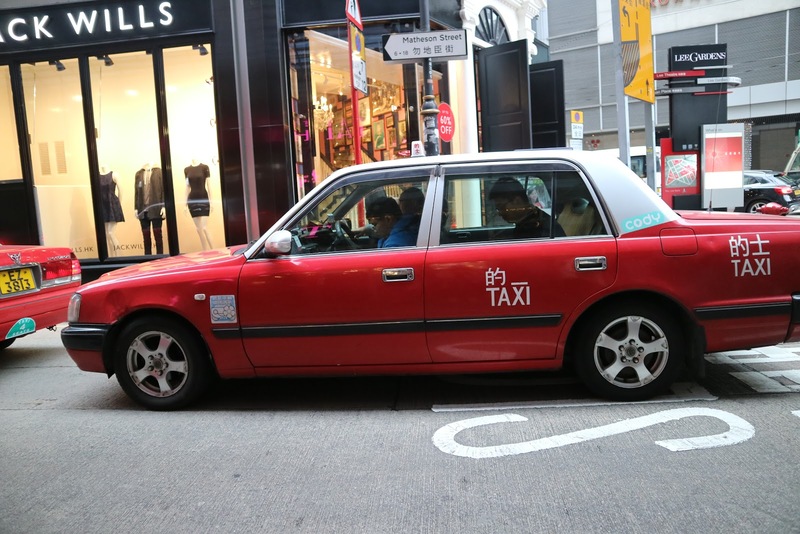 It offers a cheaper way to go from Tsim Sha Tsui to Central or vise versa (only HK$ 2.4 per trip) and lets you enjoy the 10 minute view of Victoria harbour. Ding Ding trams may not be for those in a rush as they move very slow. You can find them around HK Island passing by the busy districts of Sheung Wan, Central, Admiralty, Wanchai, Causeway Bay. For me, it is a perfect way to observe Hong Kong life for only HK$3.2. If you're not going to any particular place, you can hop on and alight at any tram stop. Just don't forget to pay the fare (or tap your card) before alighting. 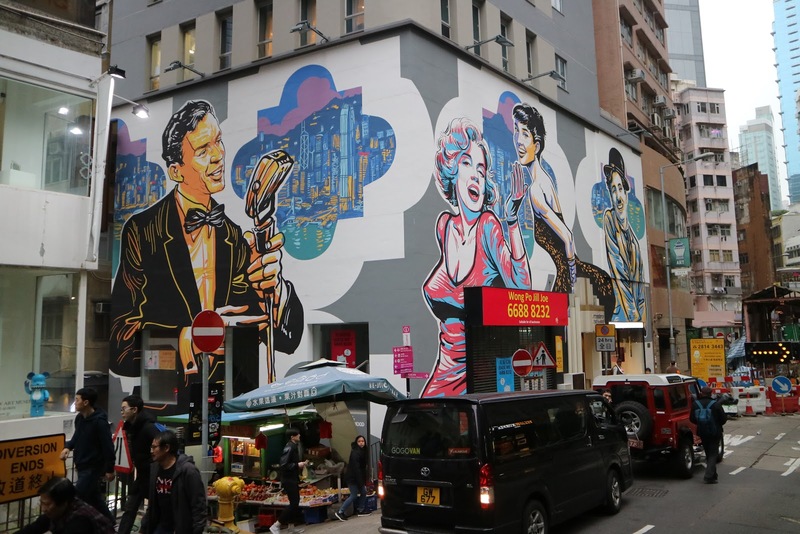 Walking Tour around Central and Sheung Wan District. If you're an Instagram-savvy which I bet you are, then go for a walking tour around these districts to check out the street art and strike your best pose for your Instagram feed. You can also find a lot of local cafes and shops in the area so you can make a short stop to take a rest from the long and uphill walks. Check out the Museums. Many museums in Hong Kong offer free admission during Wednesday so if you happen to be there on a Wednesday, take advantage of this. Macau being one hour away by ferry, makes it a popular side trip from Hong Kong. You can do it whole day or overnight depending on your schedule. Half of my trips to Hong Kong, I also visited Macau but most of the time I fly to Macau from Manila and then fly out of Hong Kong to avoid the return ferry trip (which almost eats up 3 hours from buying ticket, lining up at immigration, boarding, the actual 55-minute trip, and immigration again). I told you, I hate wasting time. And I just do it if I'm travelling for 5 or more days because there are a lot of things to see in Macau too. I'll write a separate post for Macau. I'm not an expert when it comes to restaurant suggestions. Like you, I just also read recommendations of other travelers and check for myself if I really want to try the food or not. I don't normally suggest eating at high end restaurants (unless you have the moolah) because even the Dai pai dong (open-air food stalls) are already a bit heavy on the pocket like spending an average of HK$50 for breakfast. Here are some of the restaurants / food I tried during our trips. There are several other local restaurants we've been to but I couldn't remember the names because their signage are written in Cantonese. Mak's Noodle - for your wonton noodles and beef noodles fix.They have stores in Jordan and Central. Cafe De Coral - been here countless times in different branches. If you're hungry and your group cannot agree on what particular food to eat, go to CDC. It is the largest Chinese fast food chain in Hong Kong and you can easily find one in any part of the region. I always order their roast pork rice, bbq rice, roast duck rice and curry dishes. I pair them with ice cold Hong Kong style milk tea or during winter, hot lemon tea. Kam Wah Cafe - others may not agree with me but their polo buns became my instant favorite bread. Located in Bute St, Prince Edward. Street food - Beef Offal (meat organs in spicy soup), curry fishballs, egg puff/waffles, egg tarts, sugar cane juice are only some of the stuff I always eat or drink when I feel like going on a food trip. Mcdonald's - I don't see anything wrong eating at Mcdonald's in a foreign country at least once. They have offerings that you don't get to order here in the Philippines. I love Mcdo HK's red bean pie and Nestea Honey Pear Tea. 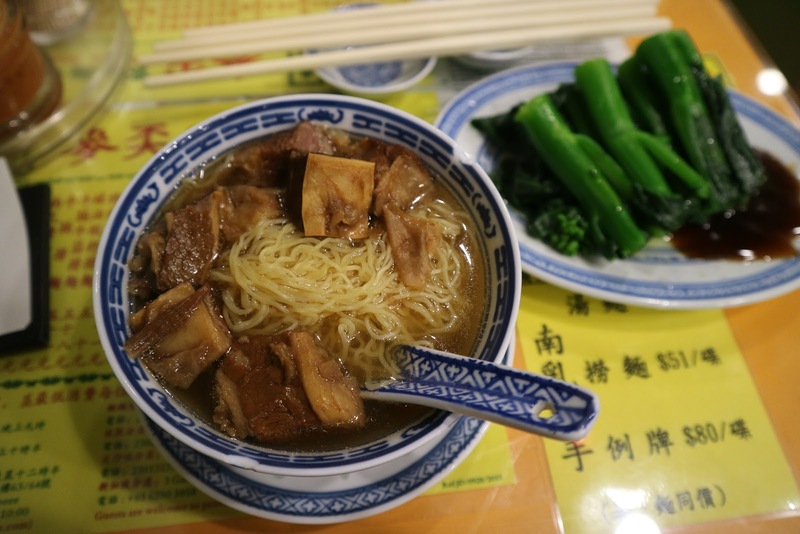 Tim Ho Wan - proud to have eaten at their original outlet in Sham Shui Po back in 2014. I'm more than happy that someone brought them to Manila and they have put up a branch near my place. Spaghetti House - Pizza and pasta selection are good. Ka Ka Lok - located at the corner of Ichang St and Ashley Rd, TST. We used to go there for late night take out. They offer noodles, pasta, and rice meals. Cosmetics, Personal Care, Skin Care, etc. Watsons, Sasa, Bonjour, Guardian, Colormix, Mannings. Hong Kong will never fall short of this type of stores. My go-to for perfumes and makeup is Sasa and Bonjour. I just compare the prices of both stores before I buy. My husband and I also go to Fanda Pharmacy in Tsim Sha Tsui to buy his stock of CK One / CK Be and other "tester" perfumes. The "auntie" at the shop already knows us because of our frequent visit. Hehe. It has been a tradition for us Filipinos to buy pasalubong for our families and friends back home. You can easily find magnets and keychains in night markets and other souvenir shops. Cheaper if you buy in bulk. For chocolates and other snacks, groceries such as Wellcome and Prizemart are your best options. I'm surprised that a big Bonjour branch in Mongkok carries snacks from neighboring countries such as Taiwan, Japan, and South Korea. For Japanese snacks, there's Okashiland. I see them a lot inside MTR stations. Go to Sham Shui Po for electronics, wholesale toys, fabric and garments. A day won't be enough if you browse through all the stores. Think Divisoria. Hong Kong motorists drive on the left side of the road so be cautious when crossing. Look right first then look left. Hong Kong people are always in a rush so don't be surprised if someone accidentally bumps you and you don't get an apology. In escalators, just stand on the right, walk on the left. In MTR platforms, stand on the sides and let the other passengers alight first before you enter the train. Don't worry you're not in Manila. Trains in Hong Kong arrive every 2-4 minutes. No need to fight your way inside even on rush hour. Always bring water especially during summer. Hotels provide complimentary water while some hostels have a water dispenser at their common area. If buying water, it is cheaper to get them at the big groceries instead of convenience stores. For camera enthusiasts, avoid the stores along Nathan Road. They have a reputation of scamming their customers. Just read up about it on forums and you'll know what I'm talking about. I used to buy my camera accessories at Wing Shing (Mongkok) and Tin Cheung Camera and New Sankyo (Tsim Sha Tsui). These are my trusted stores. When ordering food in restaurants especially in Chaan Tengs or Dai Pai Dong, they might not like it if you're taking too much time deciding on your order. Get used to sharing a table with strangers. Don't worry about getting small talks, they're too snob to even look at you. Look for restaurants with pictures on the menu so you'll know what you're ordering or try to ask the staff if they have English menu. If you don't intend to keep your Octopus card but forgot to return it at any MTR station, you may do so at the MTR customer service at the arrival area. Spend your remaining HKDs at the candy shops at the airport. There are also a mix of Asian and Western food choices where you can have a meal before your flight. And if you still have plenty of time, window shop on your way to your boarding gate. Hehe. hellow pows san pows pinakacheap magstay near city?